Robyn is married to Andrew, and teaches the theological ethics course with him. 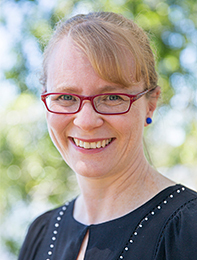 Robyn worked as a medical doctor for 14 years and also completed a theological degree at Moore College, Sydney, and is currently doing postgraduate study in bioethics. Robyn is the Chair of the Presbyterian Church of Queensland’s public questions and social ethics committee, Gospel in Society Today (GiST), and the Chair of the annual Brisbane-based womens conference, GROW. She has also worked as the women’s pastor on a church team, in student ministry with AFES in NSW, and as a speaker she is a great encouragement to women in a wide range of contexts.